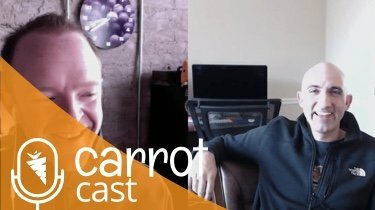 So it’s about time that we have, the World’s BEST Executive Assistant, Jen Delamotte, on the CarrotCast. On this episode, we’re going to dive into Jen’s journey with Carrot and Trevor as she went from 5 to 10 hours per week, hopping into blog posts and some marketing tasks that she really didn’t enjoy to turning into a really amazing asset and person. We’re also going to explore her thoughts on what she’s not liked, liked, and sometimes struggles with while managing the day-to-day, upper-level, work of a high-quickstart CEO like Trevor is. Carrot wouldn’t be where it is today without Jen! So, enjoy this episode and pull out why it’s so important to think about time and revenue within your businesses. 3:00 – How Jen and Trevor’s business relationship all started. 5:55 – What are some to the tasks Jen started out doing for 5 to 10 hours per week and the struggle to “what to have her do” in the beginning. 10:00 – As Carrot and Trevor began to grow, Jen started to step into new roles. Learn about the evolution of responsibilities. 12:55 – Managing the different personality traits that Trevor has compared to Jen and an Executive Assistant should have. 20:45 – Segway into critical communication, how it’s evolved over the years between Jen and Trevor, and what they use to communicate better. 26:40 – The evolutions and training of how emails are organized and prepared for Trevor to see and respond to. He typically logins to email once or twice per week. Creating the non-negotiables of communication. 33:10 – Openness and transparency… Getting out of email and comfortably allowing Executive Assistants into your messages. 38:14 – What has Jen noticed about Trevor giving up control of things. What has been the toughest things for him to give up? 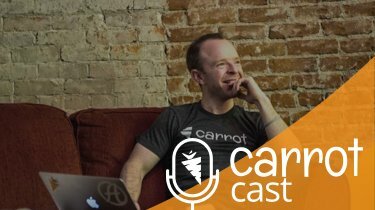 44:30 – Building communication candor. 45:30 – What are some of the struggles Jen currently has with working with Trevor. 47:30 – The importance of setting time boundaries. Requests for tasks to be completed and how that currently looks now. 51:30 – What Jen does on a daily basis to know what she is supposed to be working on. And, when she hits the overwhelmed stage, what does she do to back-up and refresh. 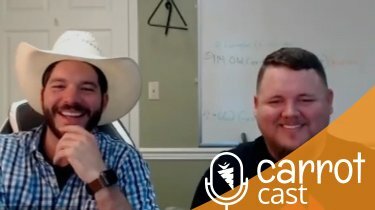 53:45 – How by creating environment build on processes has helped Trevor and Jen be more productive. 1:01:15 – Rapid fire… 2-minutes of tips and hacks that they’ve been able to get done.